Oftentimes it seems that whenever there is an issue regarding a policy, customer “no-service” won’t give you the correct answer. They’ll give you the answer that makes their job easier. 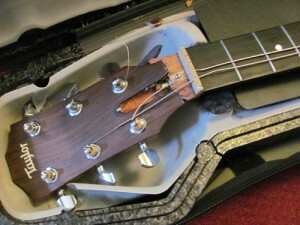 If you’ve tried to bring your guitar on a plane, you may have experienced this sort of issue. They don’t want the hassle of dealing with your guitar, and checking it makes it easier for them. Sadly, checking your guitar can lead to heartbreak…emphasis on “break.” Luckily, Guitar World has posted an article citing the law that says you do have the right to carry your guitar with you. There’s still certain issues to be aware of, and it’s important for us as musicians to know our rights when flying. Read the complete article at Guitar World.